English Summary/英文概要： Acrylamide, a chemical described as ’extremely hazardous’ and ’probably carcinogenic to humans’, was discovered in food in 2002. Its presence in a range of popular foods has become one of the most difficult issues facing not only the food industry but all stakeholders in the food supply chain and its oversight. Acrylamide is not present in raw food but forms from natural precursors during high-temperature (> 120°C) cooking and food processing. Fried, baked, roasted and toasted potato and cereal products, as well as coffee, are the major contributors to dietary exposure. This book comprehensively describes what is known about the toxicology of acrylamide, how it forms in food, the positions taken by food safety authorities and concurrent regulatory issues. It also covers the food industry’s response, the mitigation measures adopted and how successful these have been in reducing our exposure to acrylamide. It then describes the genetic and agronomic approaches that have been taken to reduce the acrylamide-forming potential of major crops. 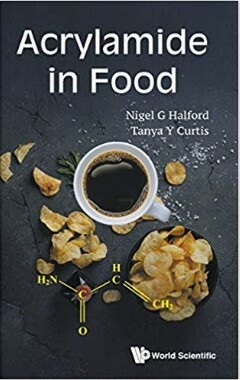 Written by internationally-renowned experts in the field, Acrylamide in Food is detailed and informative, while being accessible to specialists and a general readership.